Projects continue to keep me busy and the variety of the projects always keeps this work fun. 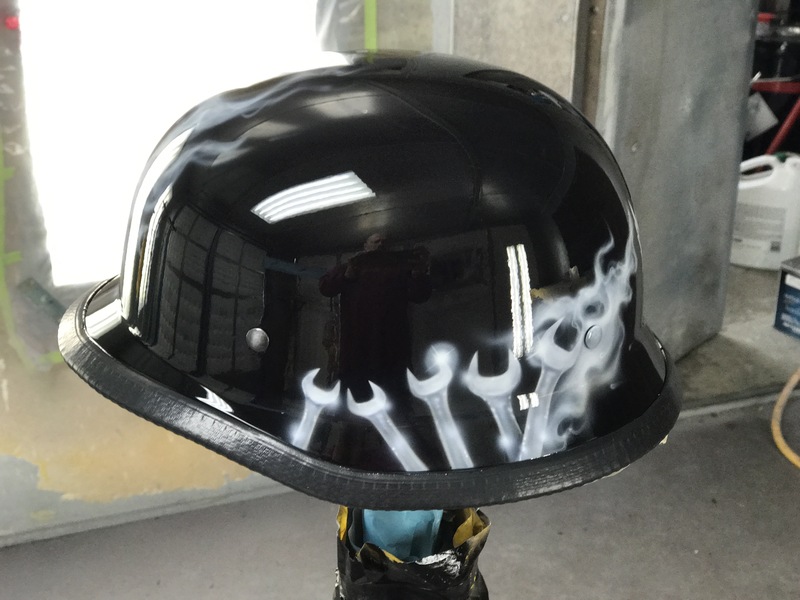 From painting 3D models, guitars, helmets and of course motorcycles we have not stopped. 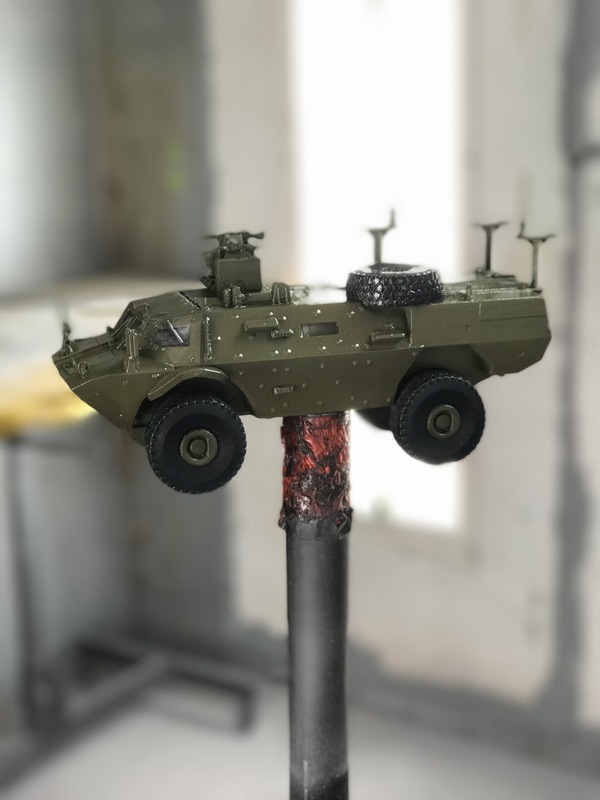 We painted a 3D model of the Canadian TAPV model to be used for a trophy. 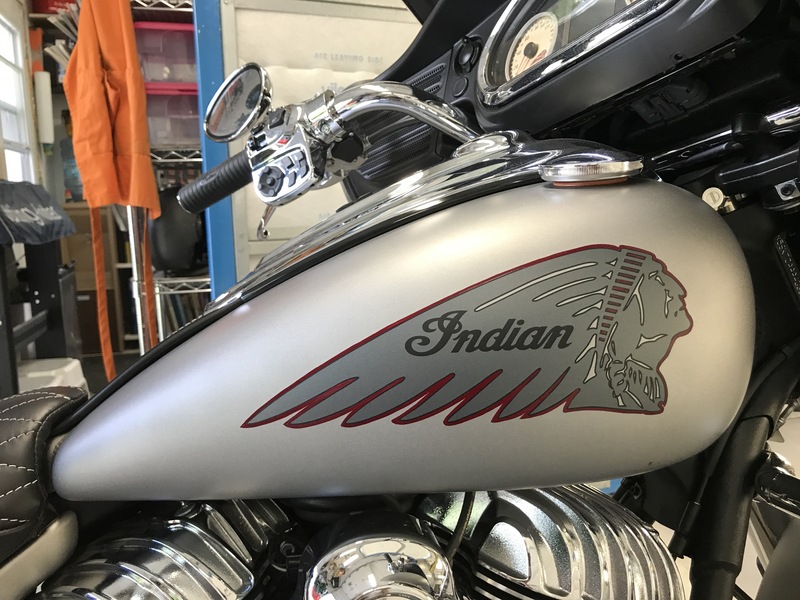 We worked on a few guitars, bike restorations, helmets and had a new indian in the shop to outline the logo and paint the logo inserts on the chrome buckles. 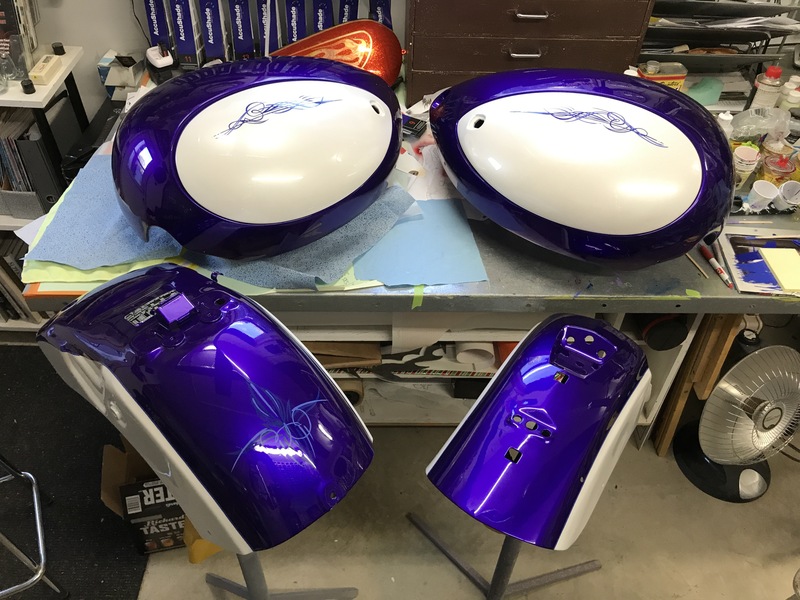 We are getting ready to start our Bike Rally season and will be showing our work and pinstriping onsite for those that want to add a bit of art to their rides or helmets. 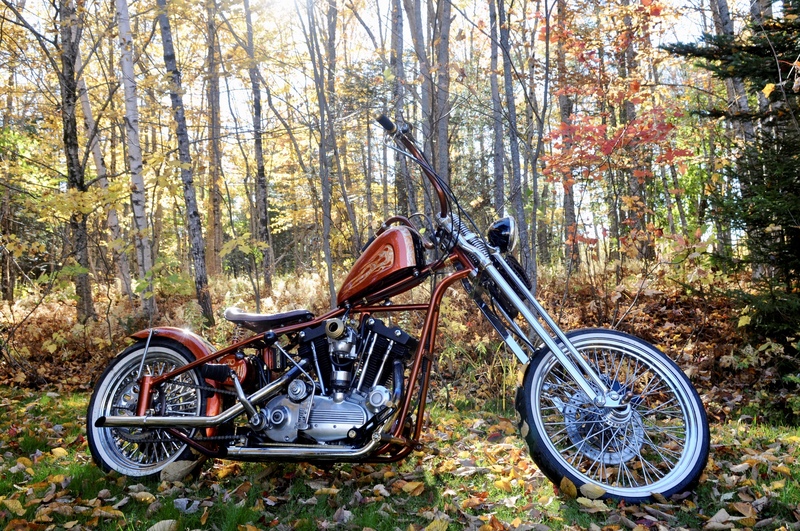 We will be at the Cape Breton Bike Rally Aug 4 to 7, Shediac Bike Rally Aug 25 to 27th and the Wharf Rat Rally in Digby Aug 32 to Sept 4th. Come out and see us.